Vision aids provide access to printed material, photographs or computer interfaces for individuals living with low vision. 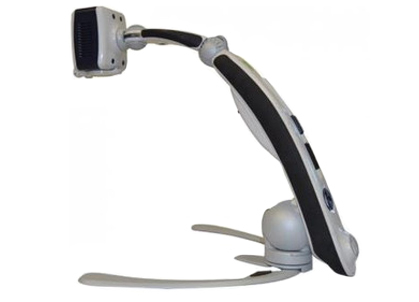 Vision aids are available as lightweight, portable handheld magnifiers, sophisticated, stationary desktop devices or easy-to-use software programs. Desktop Magnifiers can enlarge items placed in the viewing area up to 52 times which makes reading, enjoying hobbies, and staying independent possible for individuals with low vision. Desktop magnifiers are ideal solutions for those with Macular Degeneration, Glaucoma, Cataracts, and Diabetic Retinopathy. Handheld Magnifiers are one of the most common forms of magnification used by individuals with low vision. These high tech magnifiers are portable enough to fit into a pocket or purse and are significantly less expensive then electronic desktop and portable magnifiers. 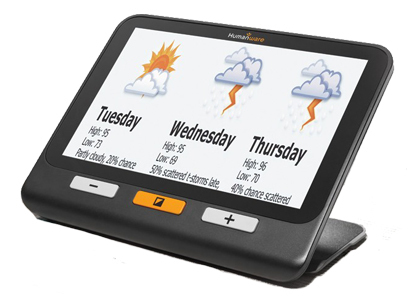 Most magnify from 2x to around 20x, feature high definition LCD screens and may even offer speech feedback or touch screen options for greater access. An ideal solution for students or anyone looking to take a full-time magnifier from room to room, portable magnifiers are designed to be light and versatile. Our line of portable magnifiers can enlarge items placed in the viewing area up to 75 times, which makes reading, enjoying hobbies, and staying independent while on the go possible for individuals with low vision. Screen magnifiers enlarge a computers interface to make it easier for individuals with low vision to view what is on the computer screen. Each with various capabilities, screen magnifiers can also magnify all or part of the screen, change font color, change background color, or read screen text aloud. Typing aids include large print and large key options for individuals who require a bigger typeface or over-sized keys when typing. Various large format keyboards are also available in alternative layouts, backlit keys, and colors for even easier access. Clocks and watches for individuals with low vision offer special features that make viewing the time, date, appointments and more easier. 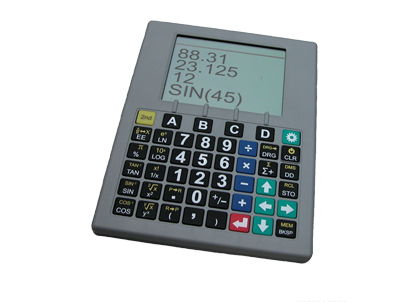 Choose from brightly lit large letter and number units to aids that will actually read back the time to users. Low vision aids are everyday products adapted for individuals with vision impairments. 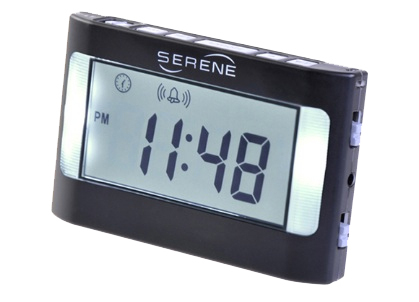 These items also incorporate technologies that assist in completing daily tasks and include large button phones, color identifiers, talking watches and large number alarm clocks. People love the Stella for reading, arts and crafts, low vision supplementation, and general task lighting. All Stella products give the user maximum control over color, dimming capabilities, and light position. Stella has no bulb to replace, minimal energy consumption and a 100% Customer Satisfaction Guarantee. The Pebble magnifier offers 4.3" screen with adjustable magnification of 1.25x - 13.5x and a foldable handle for easy viewing. 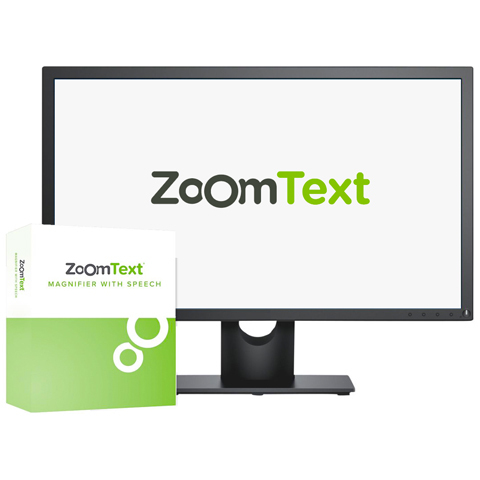 ZoomText enlarges and enhances everything on the computer screen. 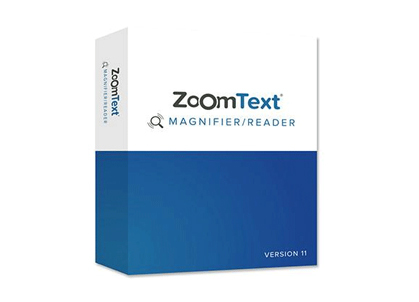 A Magnifier/Reader version offers speech feedback. 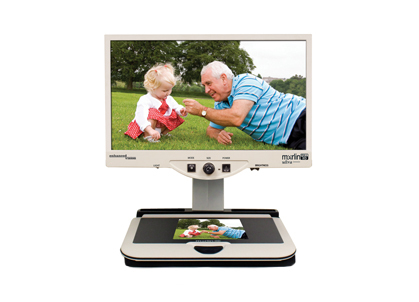 DaVinci Pro is a high performance desktop video magnifier featuring a Full HD Sony 1080p 3-in-1 camera and full page text-to-speech (OCR). 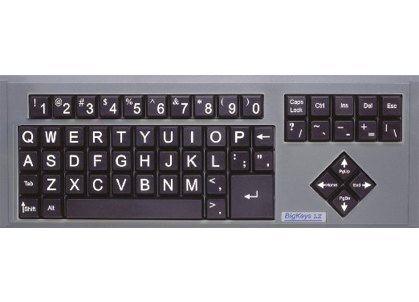 BigKeys features 1" square keys on a standard sized keyboard and can be configured in QWERTY layout. Stella TWO is for the individual who needs more overall light output, greater control over intensity and enhanced tactile feel.